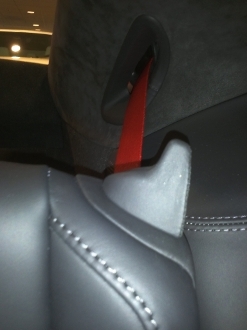 The Exclusive Option Leather Rear Seat Latch Set features a rich leather wrapped surface. The 4-piece Leather Latch Set is an easy snap-on installation that instantly adds an exclusive look to rear of your 911, especially with the rear seats folded down. Replacing the plastic latch with leather gives your Porsche a distinctive finished look that matches the front of the cabin.